This insightful look into one of mankind's favorite artists traces the magic and melancholy of Vincent Van Gogh. 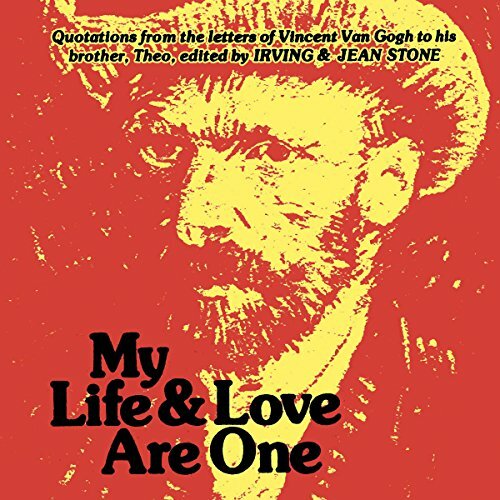 Out of Vincent's letters to his brother Theo, as collected by Irving Stone, we have selected an exciting and sensitive series of quotations. The quotations in My Life and Love Are One revolve around three themes - love, art, and turmoil. Centered around emotion and creation, Vincent's writing and philosophy is as expressive as his art. Whether it's soft and swirling, or rash and profound, the transformation of his thoughts into words colors emptiness with the brightest and darkest moments of his life.